Career & Business what is Nifty? Friends, you must have heard the word NIFTY but do you know what is Nifty, how it is formed and what it means. In today's post we will talk about this. Nifty is also like the Sensex. For the people who invest in the share market, the index of the Nifty is very important. As we know, there are two major stock exchanges in our country: Bombay Stock Exchange (BSE) and National Stock Exchange (NSE). Nifty is the index of the (NSE) National Stock Exchange . Which is an index of 50 major companies listed in the NSE. The Nifty word is made up of two words NATIONAL + FIFTY, it is also called Nifty 50. Where only 30 companies are involved in the Sensex, the same Nifty includes 50 company. These fifty companies are the largest companies in their field and They have more than 50 percent share in the entire market. How is the Nifty fabricated? 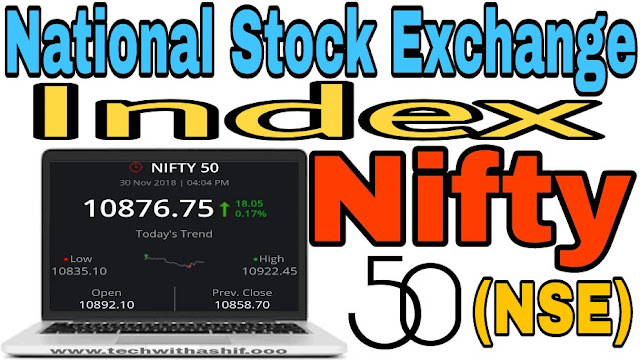 As we know, the Sensex is the oldest index of the market, but after the arrival of the National Stock Exchange, Nifty is considered to be the most important in today's times, the Nifty started in 1995. The base year of 1995 Nifty and its base no. 1000 were kept. Based on this, the Nifty is fabricated. 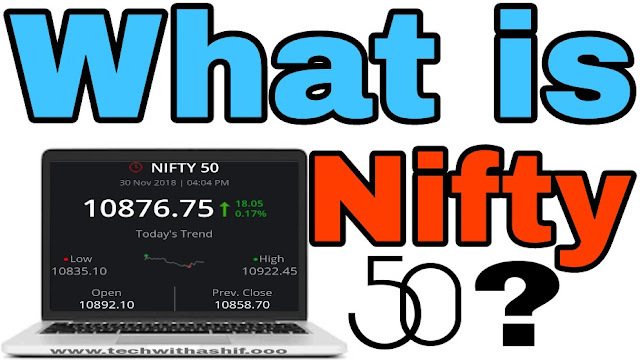 How does the Nifty become? Nifty is formed on the basis of shares of 50 companies listed in the National Stock Exchange (NSE). Nifty is fixed on the basis of performance of these 50 companies. The market cap of these companies is more than 50 percent of the entire market. If their shares rise faster then the Nifty increases and if the decline comes, then the Nifty also falls. ● Also read : What is Mutual Fund? | Can money be earned from this? The 50 companies involved in the Nifty are taken from 22 different fields. These fifty companies may also have changes from time to time, but only 50 companies are included in the list and on the basis of these, Nifty is fabricated. From the Nifty, we know how the NSE market is going on. With the rise of the Nifty, the country's economy is also strong. The index of Nifty also has considerable importance for investors who invest in the stock market. You may have liked the information given about the Nifty. If you have known what the Nifty is and how it is formed. Thank you for reading the post. You share your tips on the comment.